Rick Lemieux is a co-founder of NISTCSF.com and its Chief Revenue Officer. He is responsible for overseeing the company’s Sales, Marketing & Business Development programs. 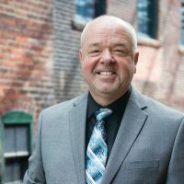 Rick has been involved in developing and marketing IT and Cyber Security workforce development solutions for the past 15 years. Rick’s has been a driving force behind many companies including itSM Solutions LLC, itSM Mentor, Careeracademy.com and Agile Sales & Marketing. Rick is certified IT professional and was recently identified as one of the top 5 IT Entrepreneurs in the State of Rhode Island by the TECH 10 awards for his work in developing innovative, online workforce development solutions for Information Technology, Cybersecurity and Business professionals.